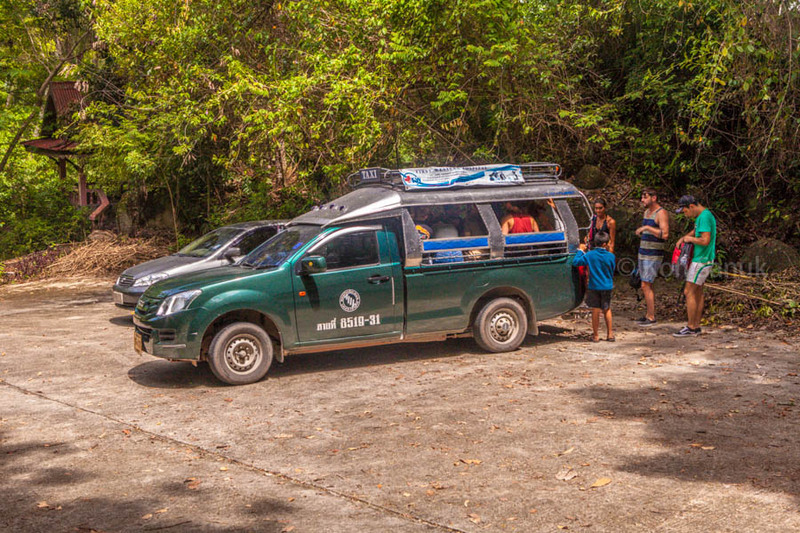 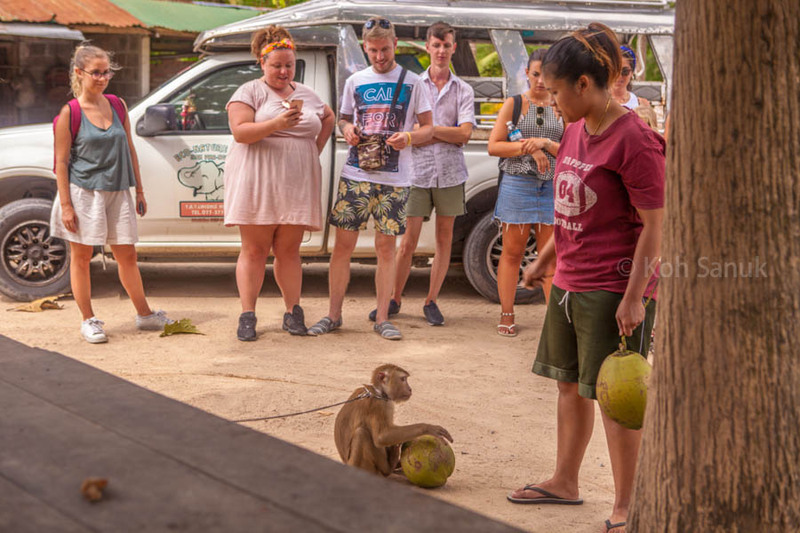 5-hour tour by songthaew where you will visit and swim in the Than Sadet waterfall, watch monkeys screwing the coconuts at the coconut farm, swim and snorkel at Mae Haad beach and relax at the restaurant. 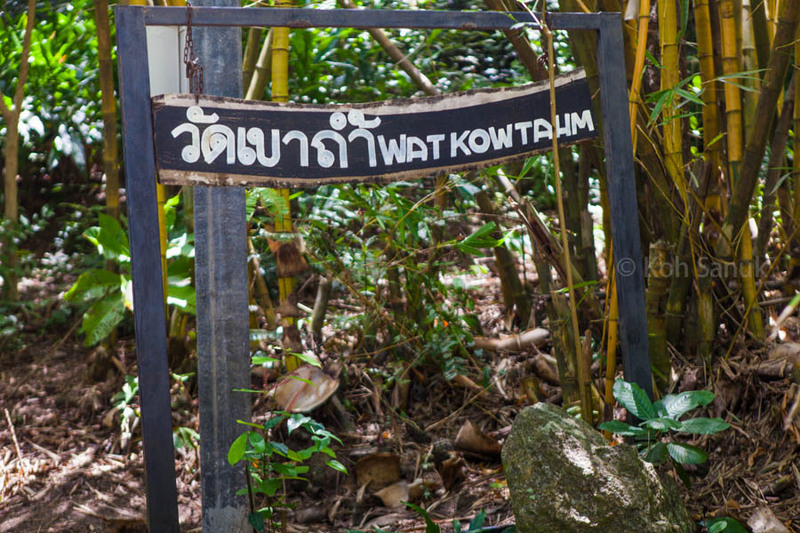 The morning program begins with a visit to the elephant farm ‘Tawan’, where you can feed three wonderful elephants. 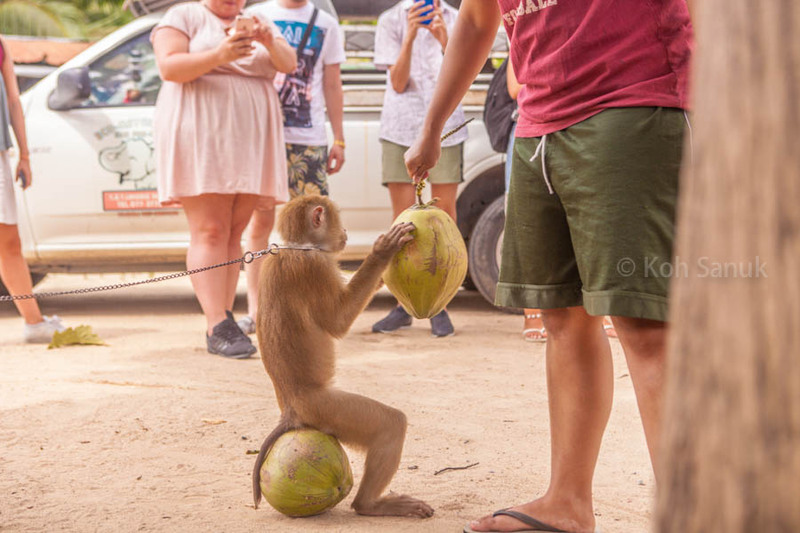 And if you want, ride an elephant. 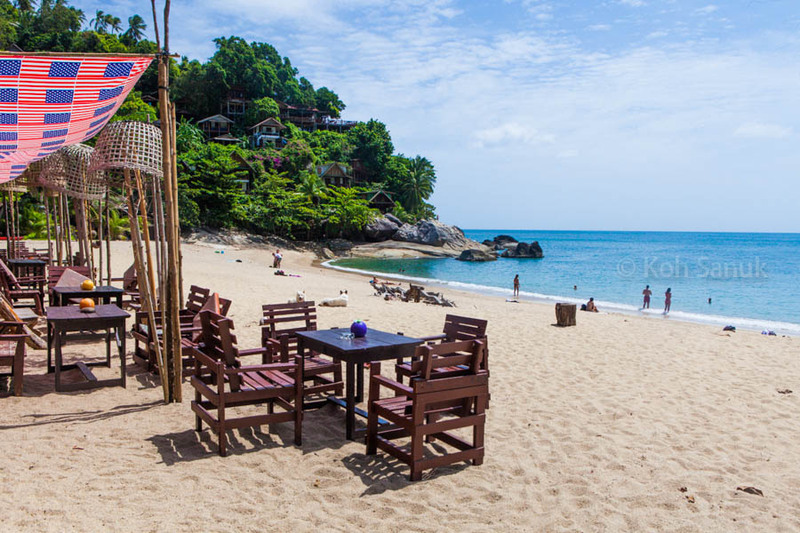 Next stop is at the famous Than Sadet beach for swimming and relaxation for an hour. 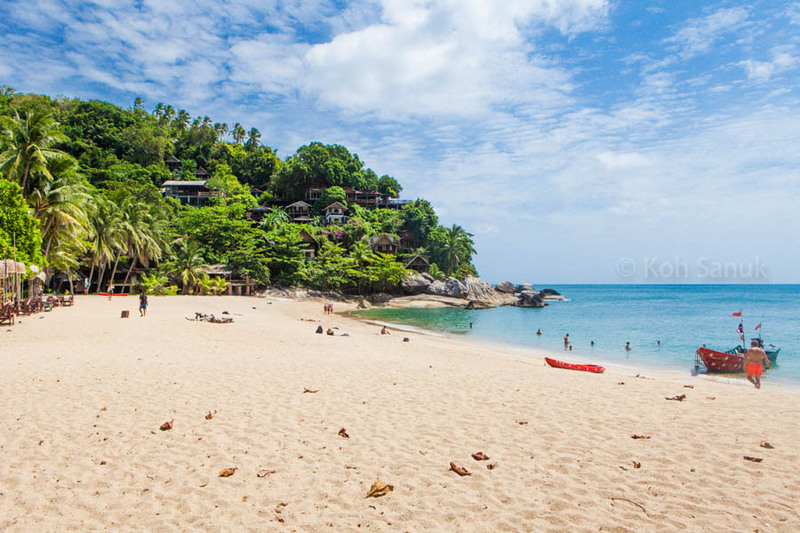 It is one of the most beautiful bays of Koh Phangan with the purest water and snow-white sand. 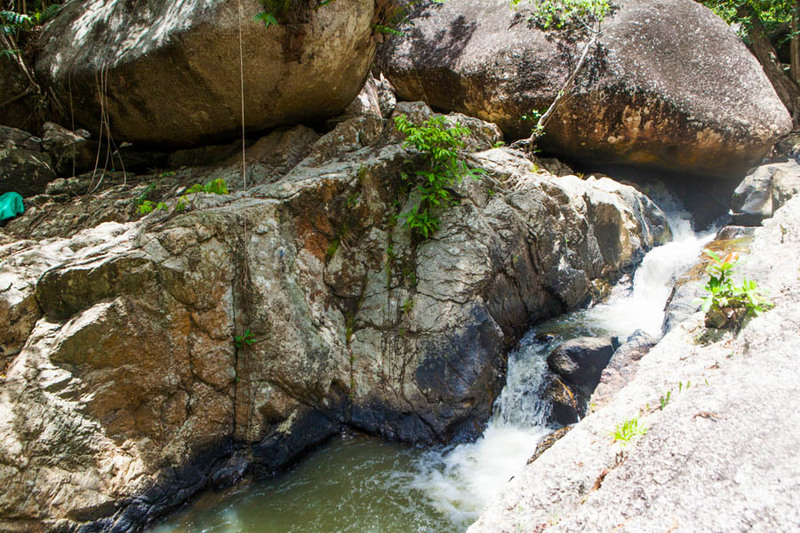 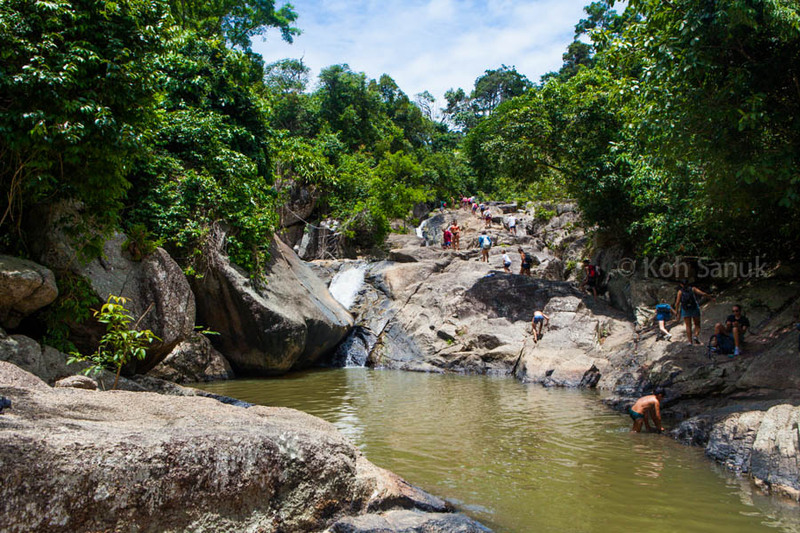 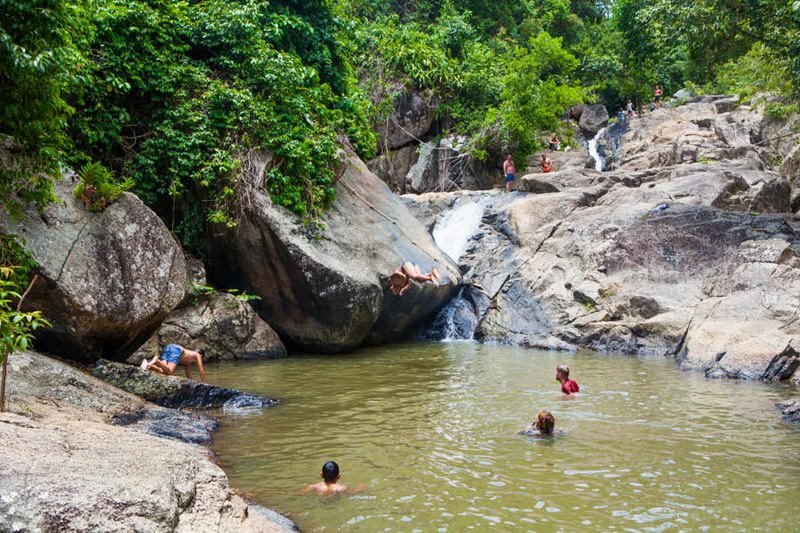 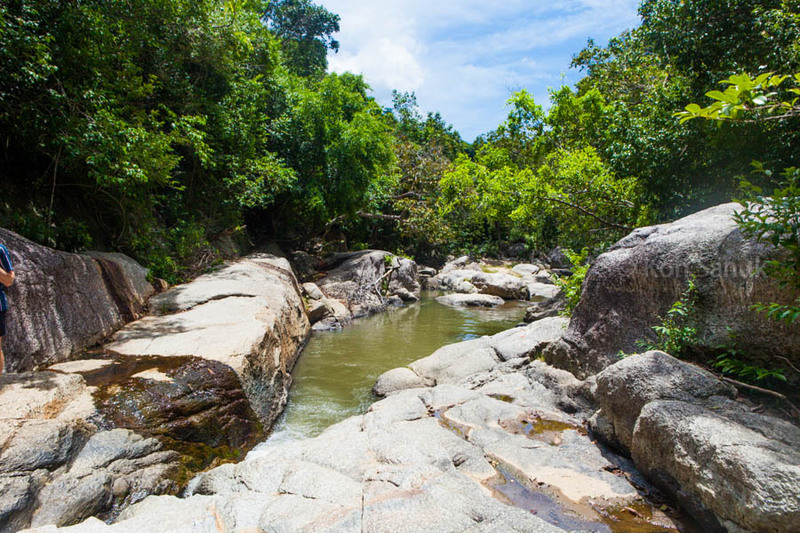 Then you will visit Than Sadet waterfall (the longest waterfall on Koh Phangan). 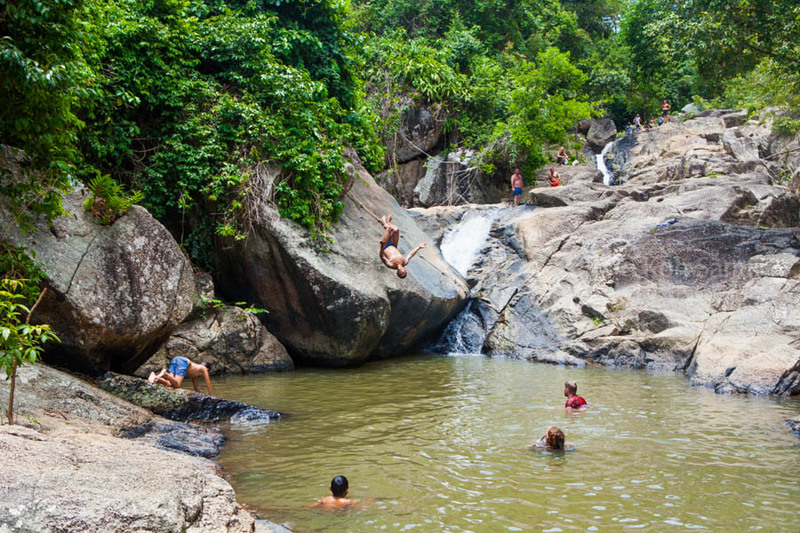 If you wish, you can climb up and swim in it. 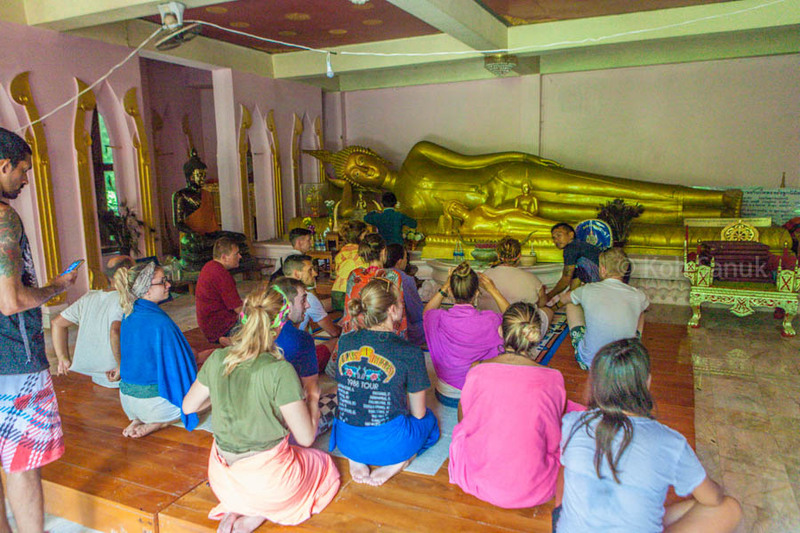 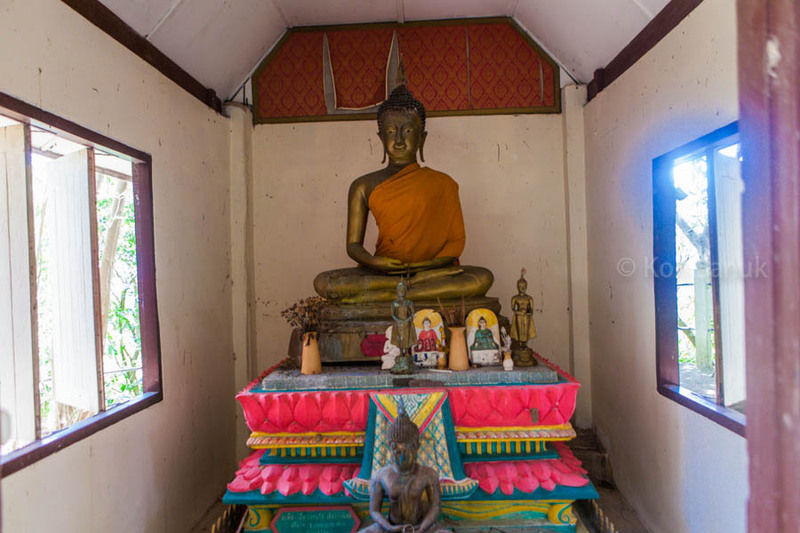 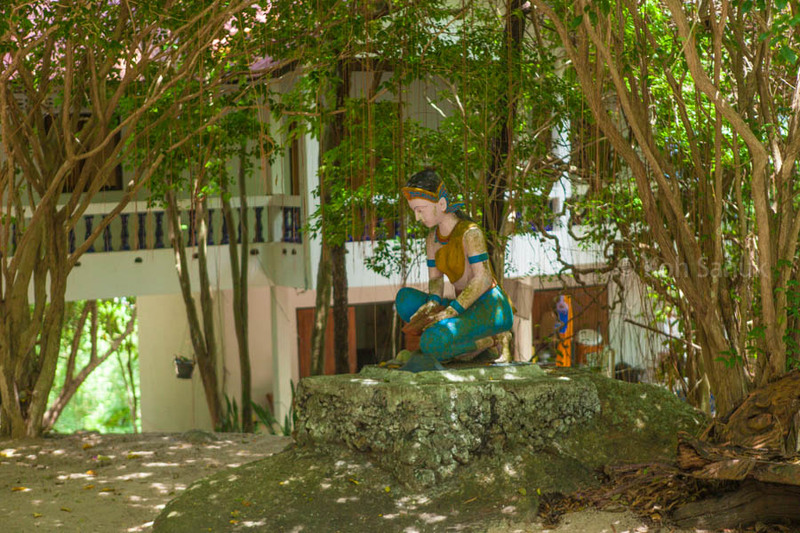 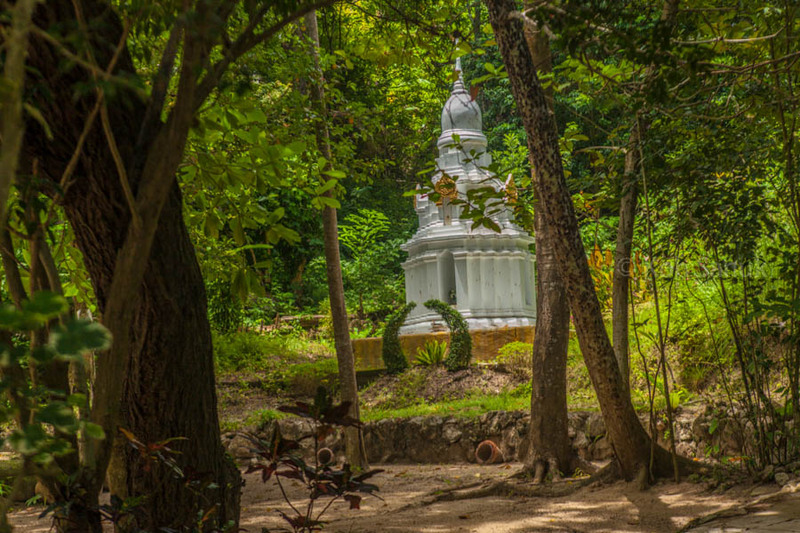 The next stop is the unusual temple and meditation center of Vipassana Khaotam with a beautiful panoramic viewpoint. 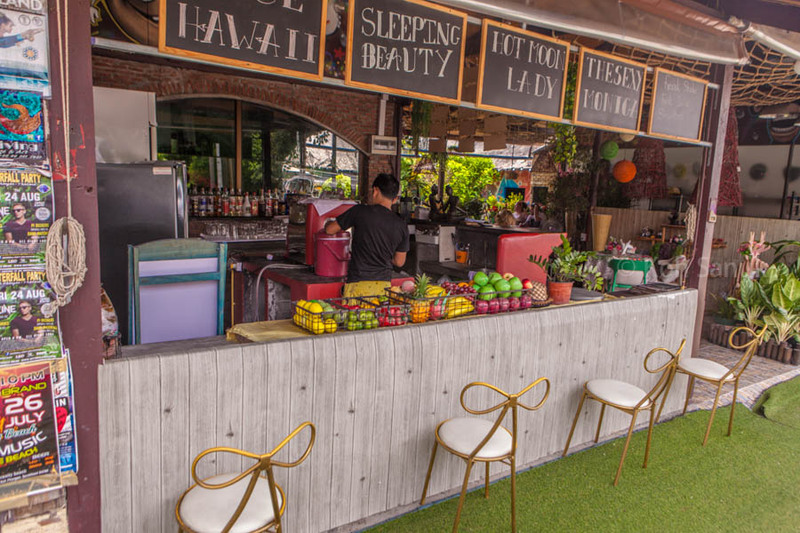 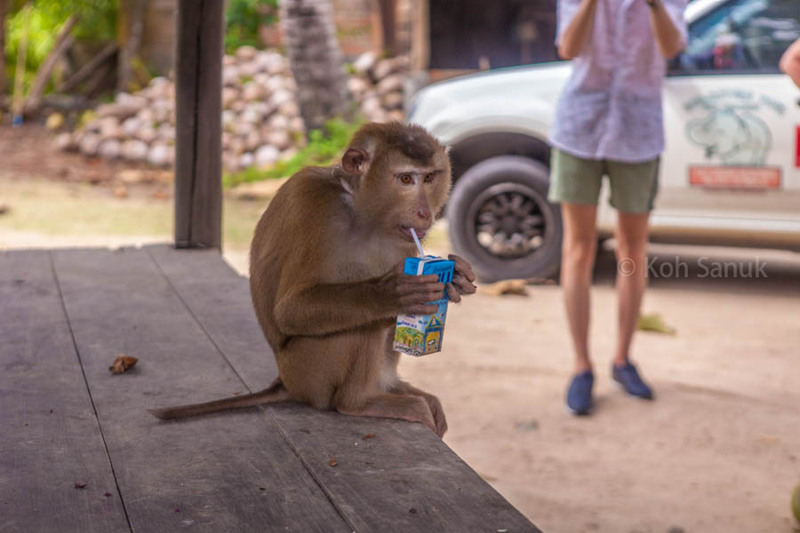 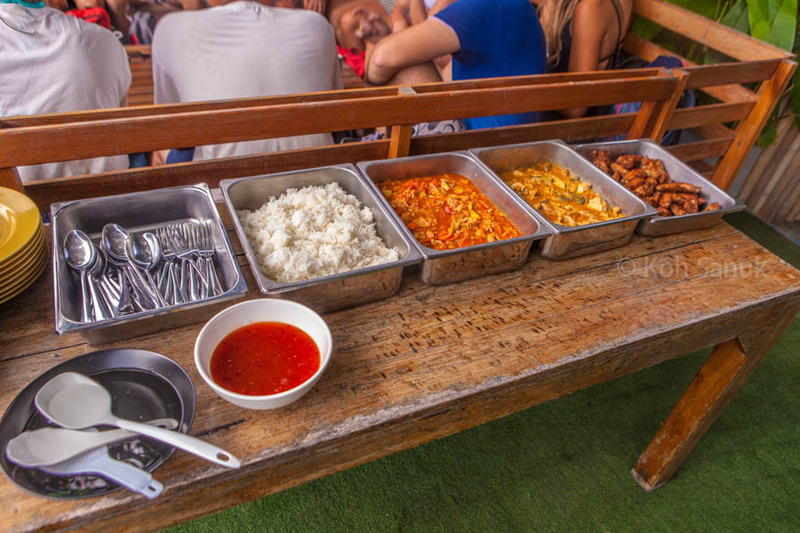 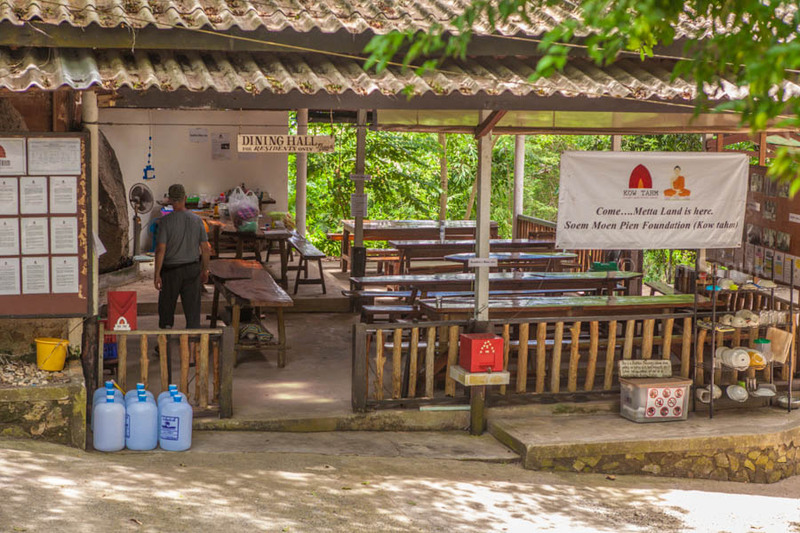 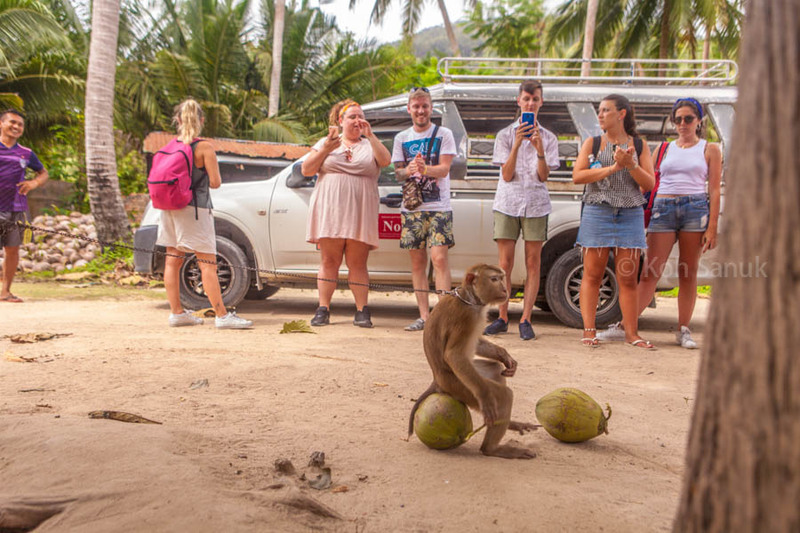 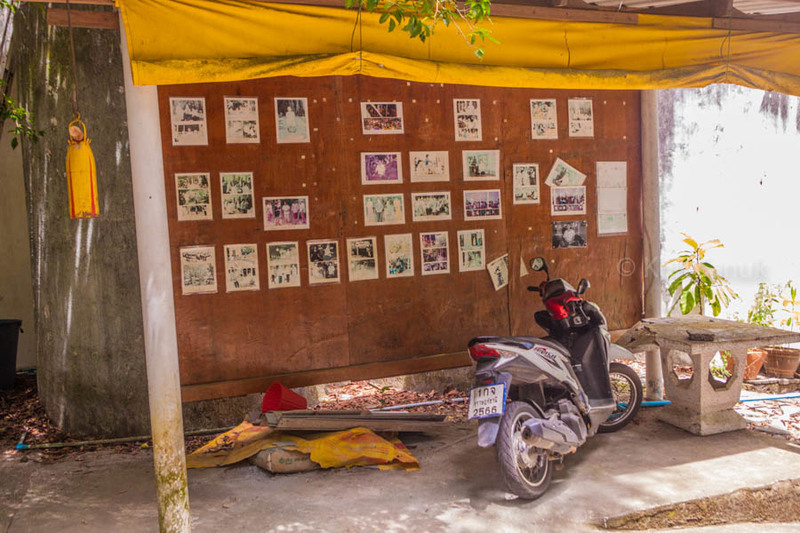 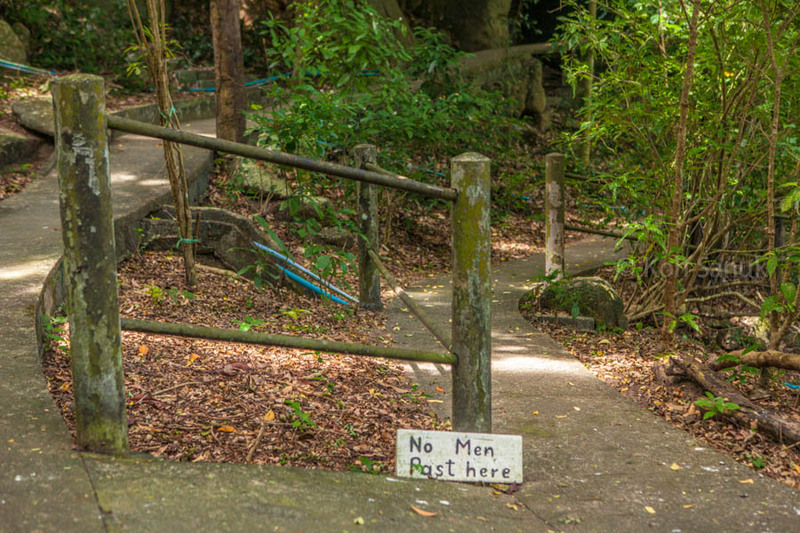 After lunch in a cafe (a vegetarian menu is available) you will visit a coconut farm where long-tailed macaques will demonstrate their skills in twisting coconuts. 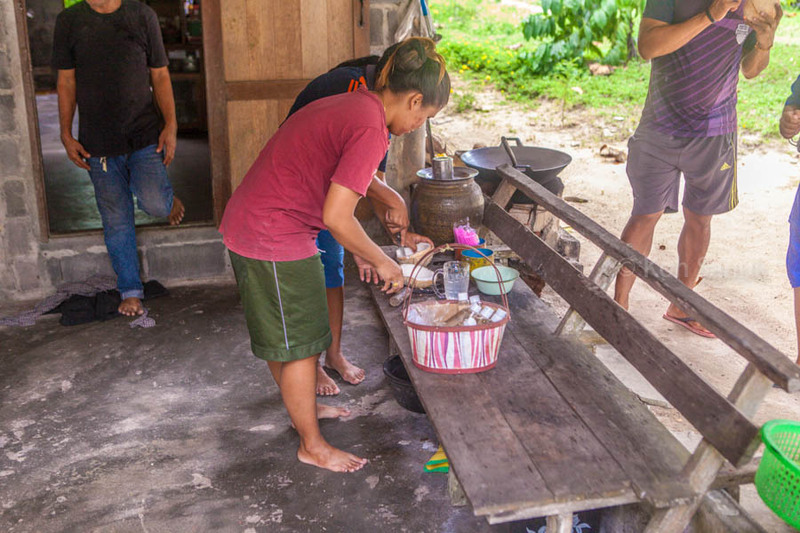 You can taste the fresh coconut pulp and buy fresh coconut oil (cold pressing). 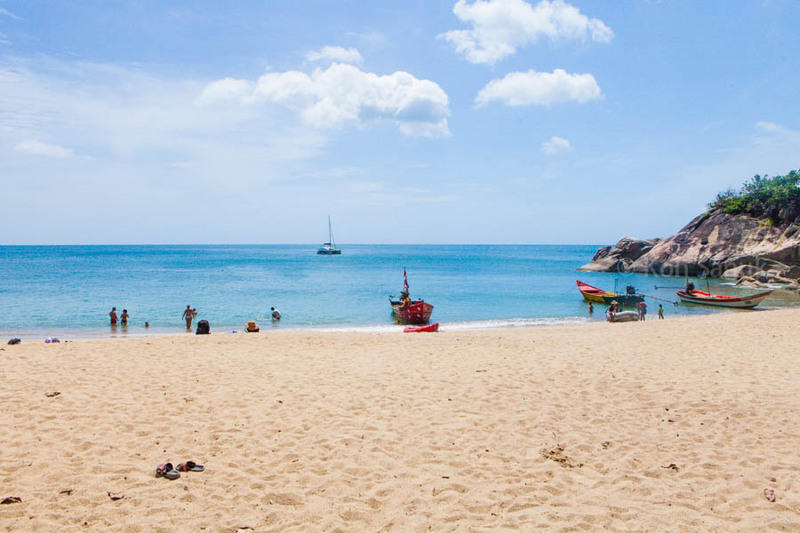 The afternoon program includes a visit to the Mae Haad beach and Koh Ma for snorkeling instead of Than Sadet beach. 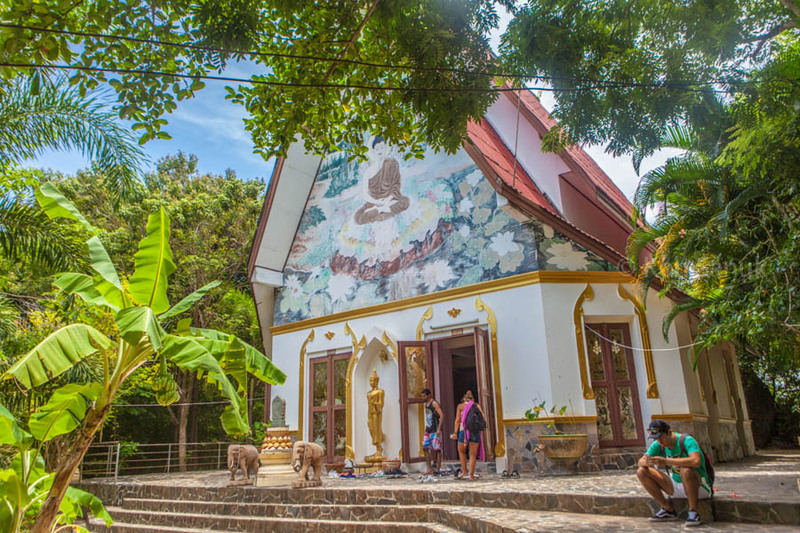 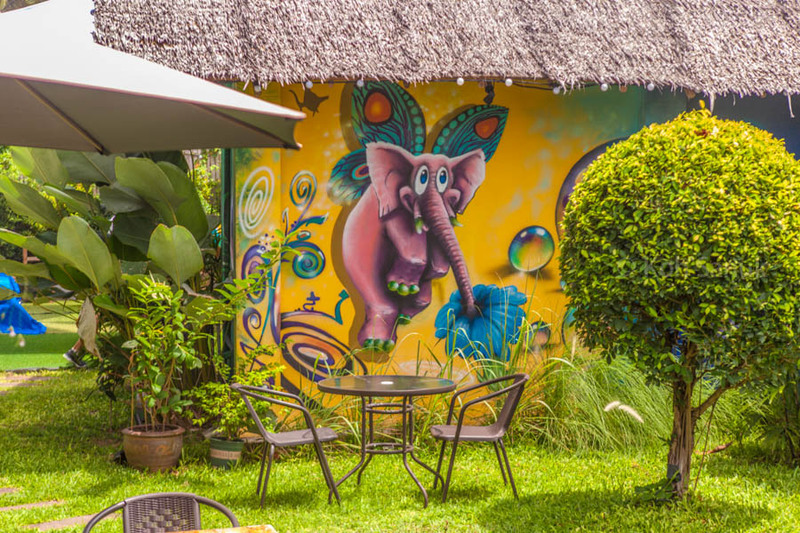 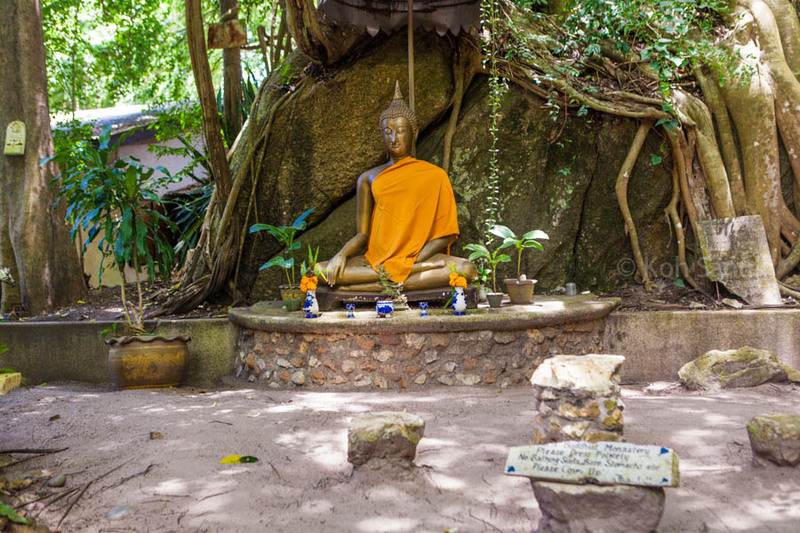 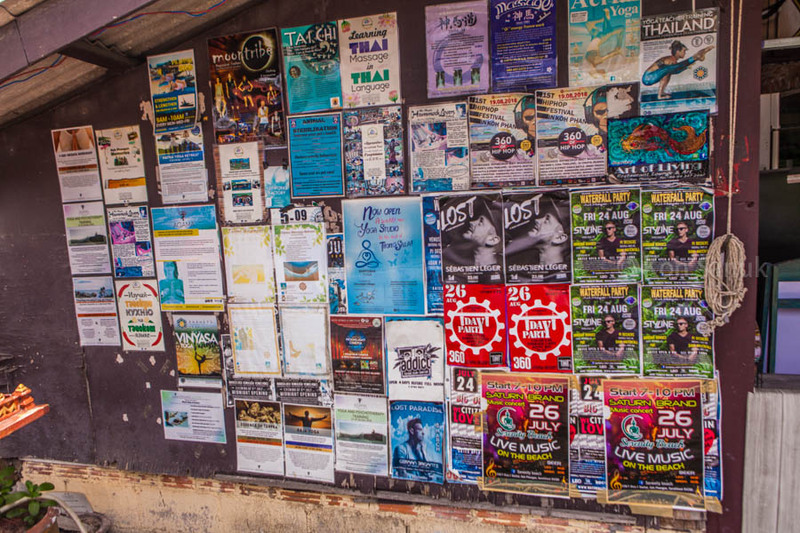 It does not include a temple (a meditation center) with a panoramic viewpoint, but at the end of the program can enjoy extraordinary panoramic views of the Koh Phangan, while relaxing in Bar 360 or Amsterdam bar. 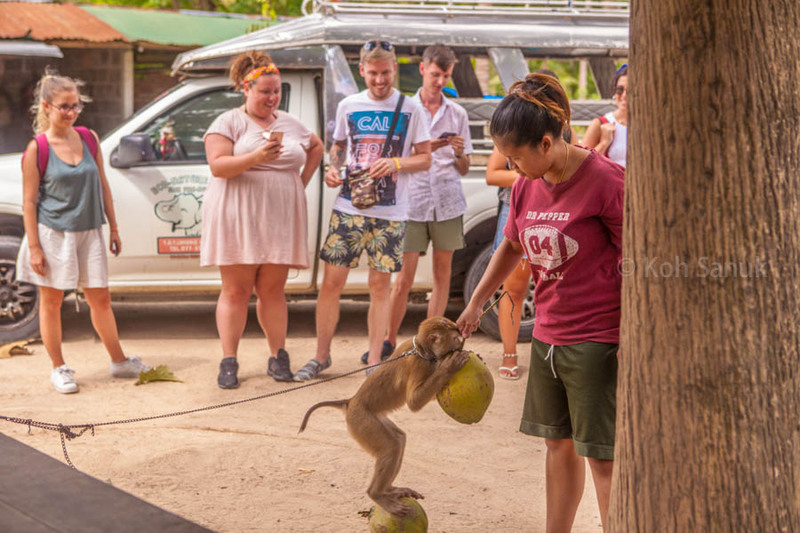 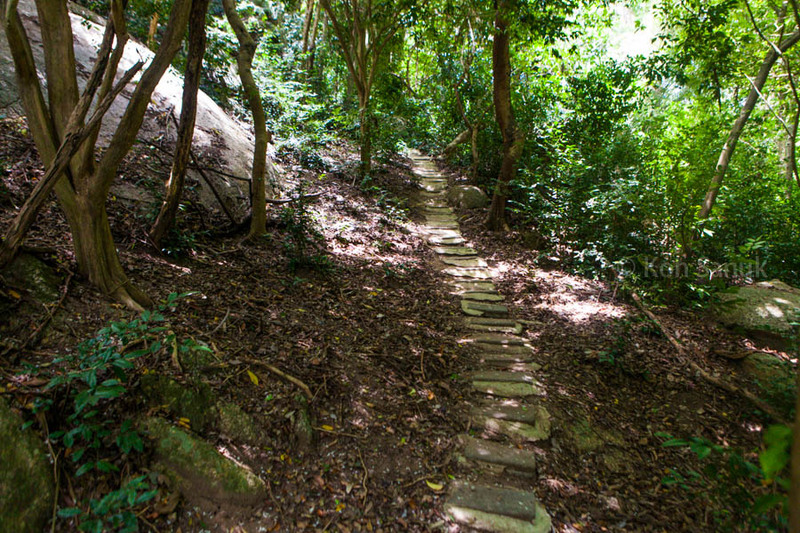 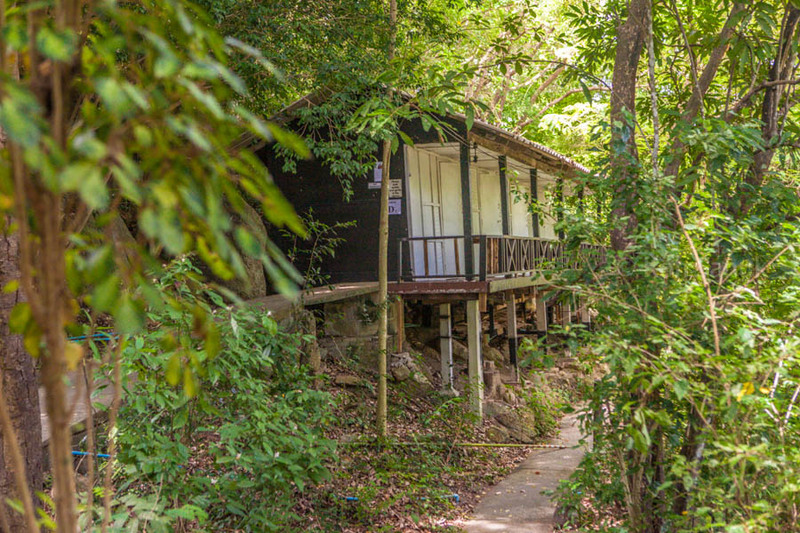 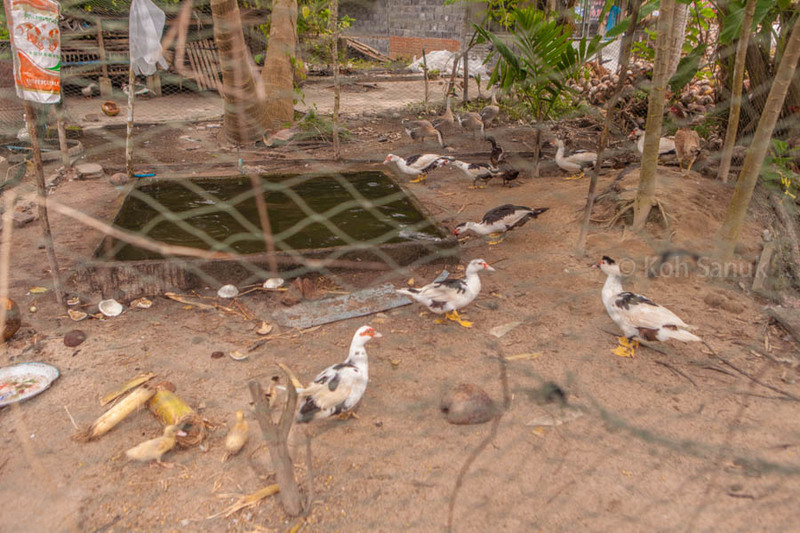 Reviews for "Eco-nature half day safari at Koh Phangan"